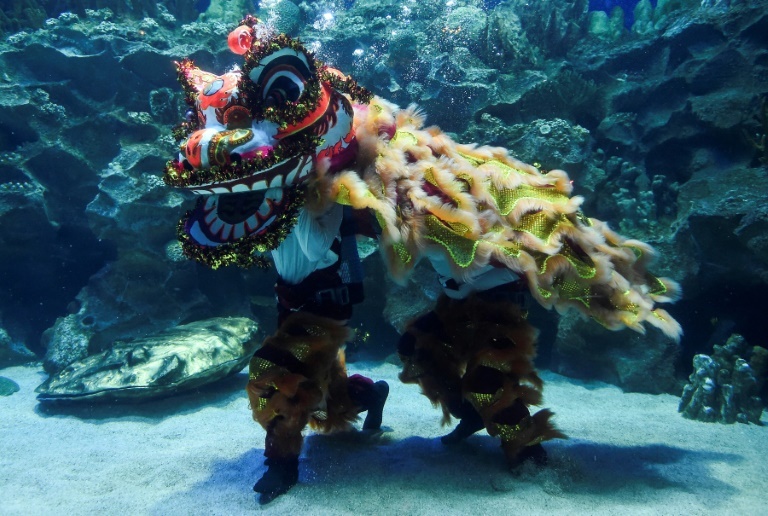 Lion dances are traditionally performed to mark the Lunar New Year, but usually not underwater. 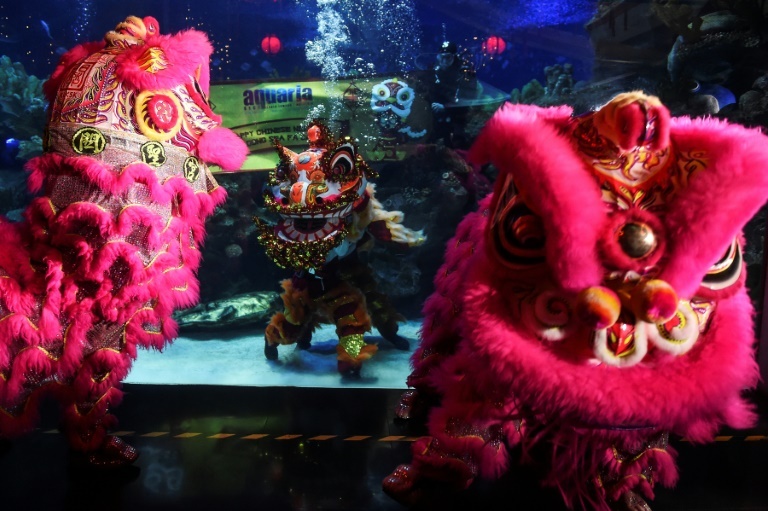 ENTERTAINMENT NEWS - Divers performed an underwater lion dance in a Malaysian aquarium on Wednesday as fish and sharks swam around them, putting a new twist on the traditional Lunar New Year performance. Two people put on the multi-coloured lion suit and performed in one of the tanks at Aquaria in Kuala Lumpur, as musicians played cymbals and drums outside. The lion lumbered around in front of a rock formation, while a shark and some colourful fish glided past. The divers performed a traditional lion dance inside an aquarium at the Aquaria KLCC in Kuala Lumpur. 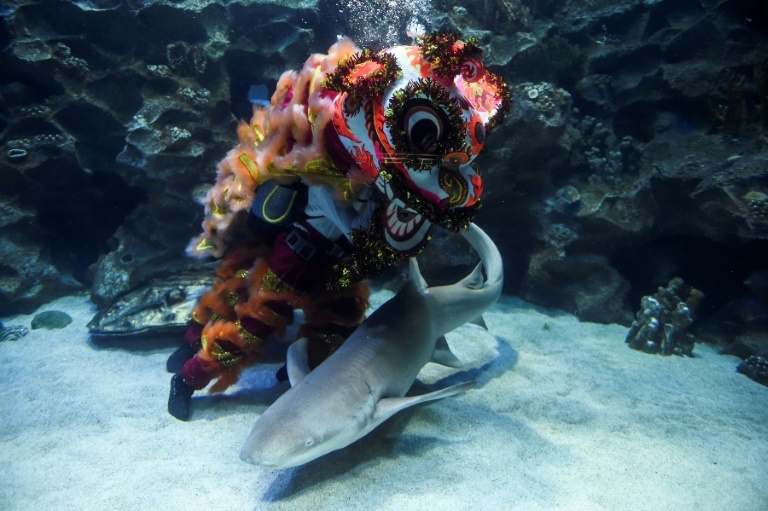 Aquarium manager Daryl Foong said it was no easy task performing a lion dance underwater. "One of the most important things for them is their buoyancy control and to still perform the movements underwater without knocking themselves off balance, hitting any of the exhibits or any of the animals," he said. Lion dances are traditionally performed in China and among ethnic Chinese communities all over the world to mark the Lunar New Year. In the traditional art form, two or more performers put on a colourful head and cloak, and try to mimic a lion's movements, accompanied by music - although not usually underwater. Chinese people believe that the lion dance can help ward off evil spirits and bring good luck. Chinese people believe that the dance can help ward off evil spirits and bring good luck. Aquaria has put on the underwater dance several times over the past 10 years. About a quarter of Malaysia's 32 million inhabitants are ethnic Chinese, while the majority are Muslim Malays.